I’m only kidding. This girl made that last night! This project, I tell ya, has been a labor of love. From teaching myself how to sew, to umpteen broken needles to more umpteen nodded spools of thread, I finally got into a good rhythm with my sewing, and picked this puppy back up. It’s the first of many of these to come, because for some reason, I inherited the “MUST HAVE ALL T-SHIRTS ON PLANET” gene, and I have about 100 more of these to cut, interface, sew together and preserve in t-shirt quilts. But, I really have a lot of fun putting this together. It’s by no means perfect, or beautiful, but I’m really loving it. And granted, it is only one unfinished side, of one quilt. But for me, it’s an accomplishment! 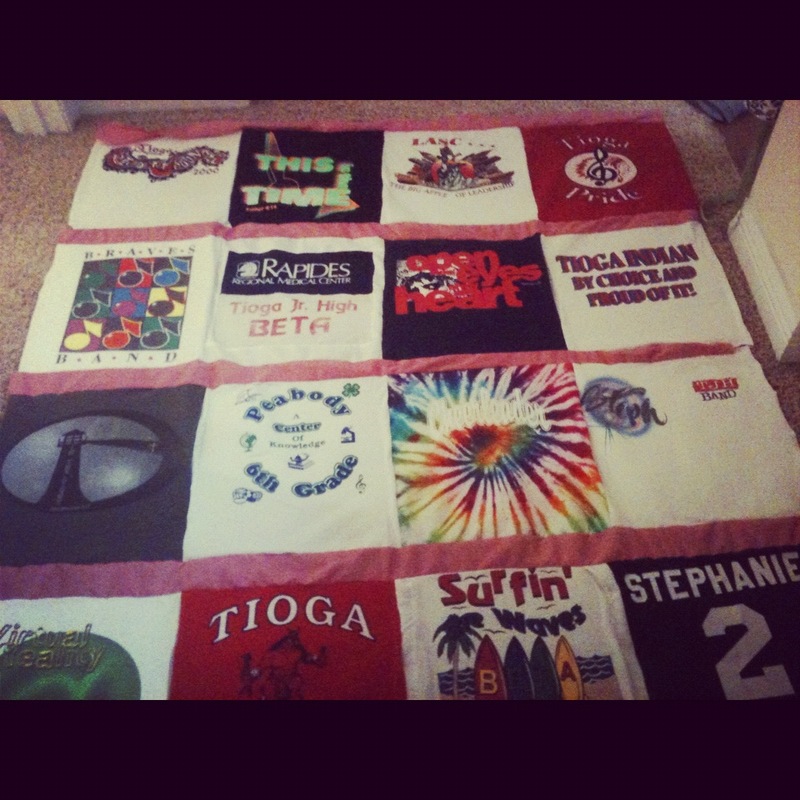 This quilt will be junior high and freshmen year of high school. And I go all the way through my four years in a sorority, so I’ll be a quilt making machine all summer! Any good sewing tips for a rookie? Categories: Projects | Tags: DIY, fun, quilts, sewing | Permalink.